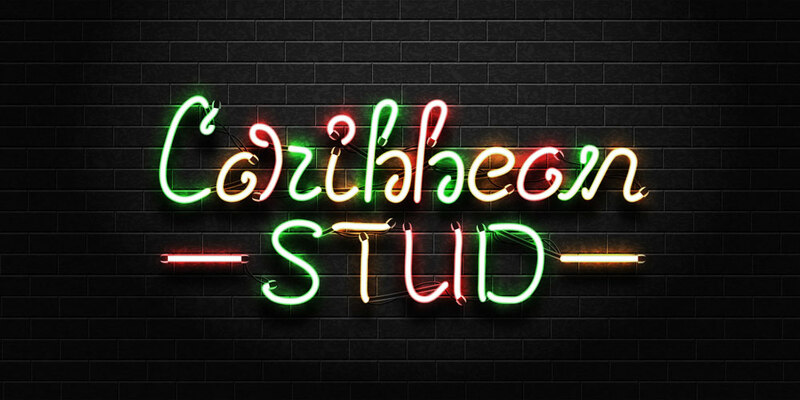 Caribbean Stud Poker has a massive following among bettors, combining strategic game play and a progressive jackpot bonus, giving it something for every type of player. It is the perfect variant of a fun and easy to learn poker game played in a relaxed casino setting. The game sports an incredible theoretical return to player of over 99% and the basic strategy is quite straightforward. But first and foremost it is an entertaining way to play poker at an online casino, perfect if you want to get away from the pressures of regular play against other players. Oasis Poker from NetEnt is a perfect introduction to Caribbean Stud and this variant of the game brings a discard round into the mix, complicating things a little bit, but also making it more fun and varied. However, the choice to improve your hand comes with a price, and it can be quite expensive if you want a lot of new cards. At the start of every hand, you should make an ante wager. You will also get the option to create a bonus wager or a side bet. The dealer and the player are then each distributed five cards. The players can assess their cards, but only a single card belonging to the dealer is face up, the others remain face down and unknown, for now. At this point, we get to see the main difference between Caribbean Stud and Oasis Poker. The player now has the chance to get rid of any number of the cards he is holding and have them switched with new ones in the deck to improve his hand. However, you will have to pay for this replacement, and the cost varies contingent on the number of cards you want to exchange. You can also decide not to make any substitutions. The following are the costs of replacements. After exchanging your cards (or not), you it is time to decide whether to fold or raise. With one exception; if you switched out all the five cards you must raise. If you fold, you forfeit your ante wager, and the hand terminates immediately. If you raise, you make a raise worth twice the amount of the ante. Once you make the raise the full hand of the dealer is revealed and you go to showdown. To get a winning hand though, the dealer have to get a qualifying hand, and that means showing at least an ace and a king high. In poker terms, two high cards of said value. A pair of twos would still be a qualifying hand. If the dealer doesn’t qualify, then you will split get your money back, including the raise. In other words you will break even. This is a deciding factor that gives the house the edge of approximately 0.47%, a really nice number that can be compared to playing single deck blackjack with optimal strategy. NetEnt’s Oasis Poker version also provide the players with a jackpot side bet, but taking home this wager is based solely on the first five cards, as in before a player makes any substitutions. As the jackpot depends on how many jackpot-bets has been made on the particular online casino the value of the jackpot will vary, but can often be worth several thousand. This is the payout structure however, which also includes some fixed prizes in addition to the progressive jackpot. If the jackpot is really huge you could of course take a gamble but it is generally inadvisable. Like any jackpot game the chances are slim but this is of course gambling and miracles do happen. What’s most important is to have fun and enjoy this casino game responsibly. If you want to learn more about cool casino games and strategy topcasinosites.co.uk is a great place to start. See you at the tables!